On Friday Pakistan special court has asked the ruling Pakistan Muslim League-Nawaz government to suspend Computerised National Identity Card (CNIC) and the passport of the former Pak President Pervez Musharraf. This order has come in connection to 2013 high-treason case. In a four-page order, the special court has said, "In case the accused fails to submit his written request as mentioned hereinabove the ministry of interior and all other departments, divisions and agencies of the government of Pakistan are to take positive steps in ensuring the arrest of the accused and attachment of his properties abroad, including suspension of the CNIC and passport of the accused (Musharraf)." It is to be noted that if this happens then Musharraf won't be able to travel to any country freely. According to the prosecution head Akram Shah, the interior ministry has not yet received an application from the former Pak President's counsel. 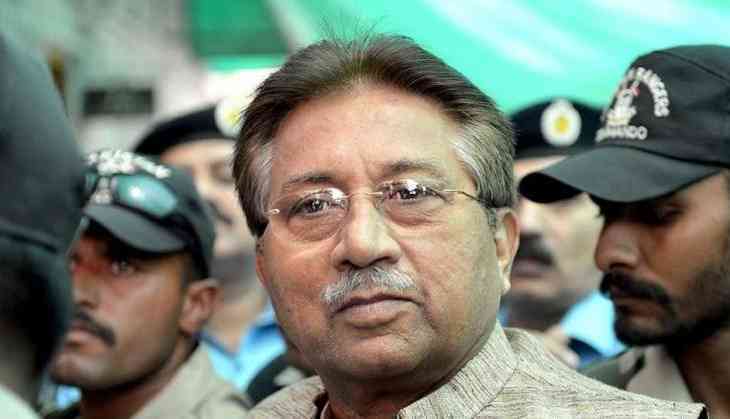 Besides, the special court was shocked at the reluctance of Pak government in taking steps to arrest Musharraf. The order even added, "In this regard, the court was informed that the accused is presently residing in the United Arab Emirates (UAE) and that there is an extradition treaty between the government of UAE and government of Pakistan which could be invoked to ensure the arrest of the accused and attachment of his properties in UAE." The 74-year-old former president left Pak for Dubai in March 2016 and was declared a "proclaimed absconder" in May 2016. The special court has ordered the government to make to make arrangements with Interpol for the issuance of an appropriate arrest warrant to Musharraf. Even a similar order was given last week, the special court ordered the Pak government to arrest Musharraf and confiscate his properties in the high-treason case.